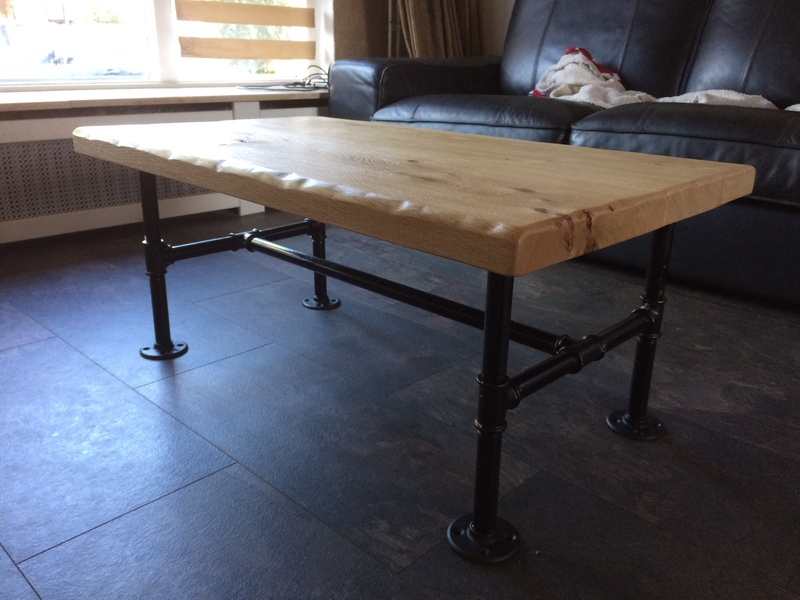 Our first custom project came from Rick in The Netherlands. He kindly sent me a picture of how his table turned out. I think you'll agree it's pretty nice! And I'm just a little jealous. BTW, this might look a lot like the The Locker Table but it is in fact a lot smaller and uses 3/4" pipe and fittings throughout. If you want a table that's a lot smaller than The Locker table then this is a good way to keep the pipe proportions. Sandra's Elegant 'Toilet Roll Holder A' Mod.